"Turmoil has engulfed Planet Earth and the taxation of trade routes to outlying star systems is in dispute. Along with declaration and the intention to leave the Republic, this dispute and separatist movement have made it difficult for the limited number of Space Eggs to maintain peace and order in the galaxy. While the Congress of the Republic endlessly debates this alarming chain of events, the Supreme Chancellor has secretly dispatched four Space Eggs, guardians of peace and justice, to settle the conflict. The Supreme Chancellor will, of course, reward you for your efforts, manifested in the form of an asteroid-sized egg known to us earthlings as ‘The Ostrich Egg’, from Hotel Chocolat. There are four of these fantastic prizes to win and each is worth an astronomical £80.00. 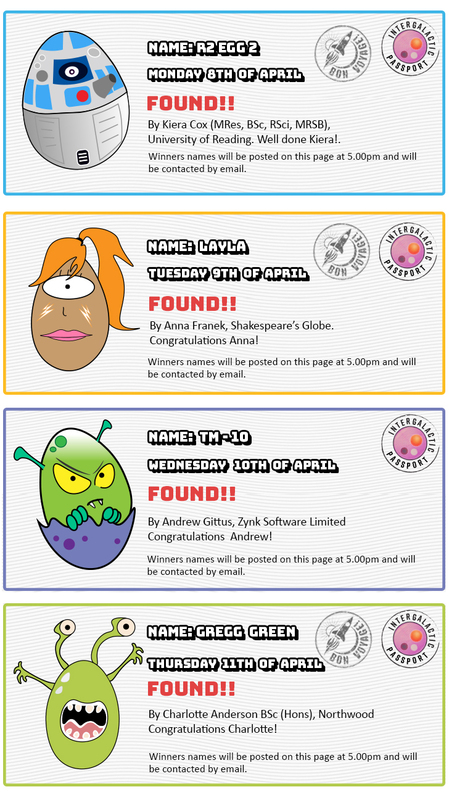 The Space Egg Hunt starts at 9.30am on Monday the 8th of April and will run each subsequent day, ending on Thursday the 11th of April.